Moroccan NGO Dar Si Hamad has built the world’s largest fog harvester, which provides water for those in dire need of it. The massive installation measures 600 square meters (nearly 2,000 feet), and it puts fog harvesting into action for people living in arid, landlocked southwest Morocco. The people of the Aït Baâmrane region lack reliable access to water so they constantly battle drought and tainted wells – but fog is abundant in their area six months out of the year. Dar Si Hamad utilized CloudFisher technology to install giant polymer nets between steel poles in the Anti-Atlas mountain range. Mountain fog is denser than coastal fog, and provides more water. The collected water is sent to locals via solar pumps and pipes installed by the NGO in partnership with other organizations, foundations, and universities. The fog harvester can produce 17 gallons per square yard of net, and it’s already making a difference for people affected by desertification caused by climate change. Over 400 people who never before had running water now benefit from the system. It’s not only the water delivered, but the time saved that makes fog harvesting so crucial in this region. Dar Si Hamad estimates that local people spend around three and a half hours collecting water, and as the job was the responsibility of women, girls were often prevented from continuing their schooling to help with the chore. Now, women continue to manage their family’s water system by sending mobile phone messages if anything is awry, and they have more time for other tasks. Girls don’t have to stop going to school because they have to collect water. Fog harvesting is a centuries-old technique which, thanks to developing technology, is now more efficient and productive than ever before. A MIT professor told The New Yorker that small changes like altering the net coating could result in big differences. A team from Germany’s WasserStiftung Foundation worked on Dar Si Hamad’s net installation to ensure it’s as functional as possible, going over often overlooked details such as the collection troughs and network connections. To educate communities about the new water source, Dar Si Hamad designed a “water school” to teach conservation. Mitra, if you follow the link it says "in 24 hours"
It says: "17 gallons per square yard of net,” but is that 17 gallons per minute, per hour, per month - it makes a big difference, and without knowing, that sentence is meaningless. 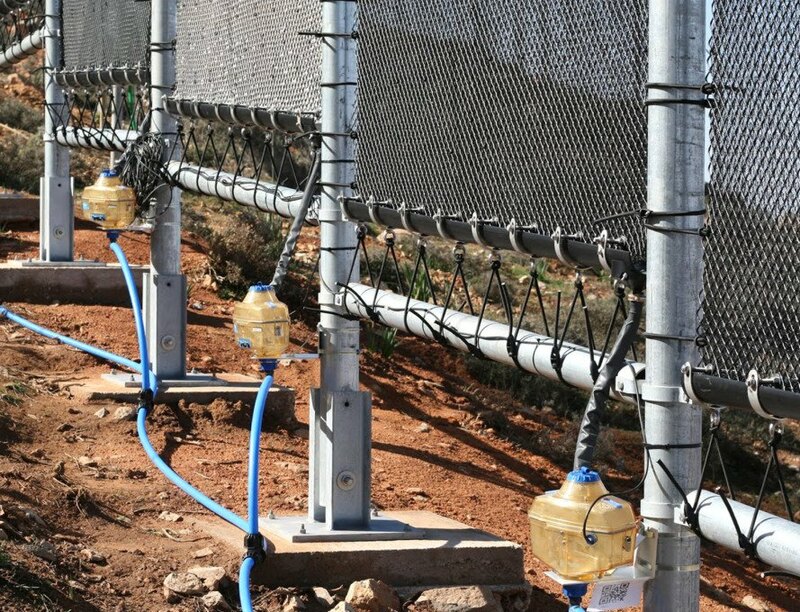 Moroccan NGO Dar Si Hamad has built the world's largest fog harvester, which provides water for those in dire need of it. 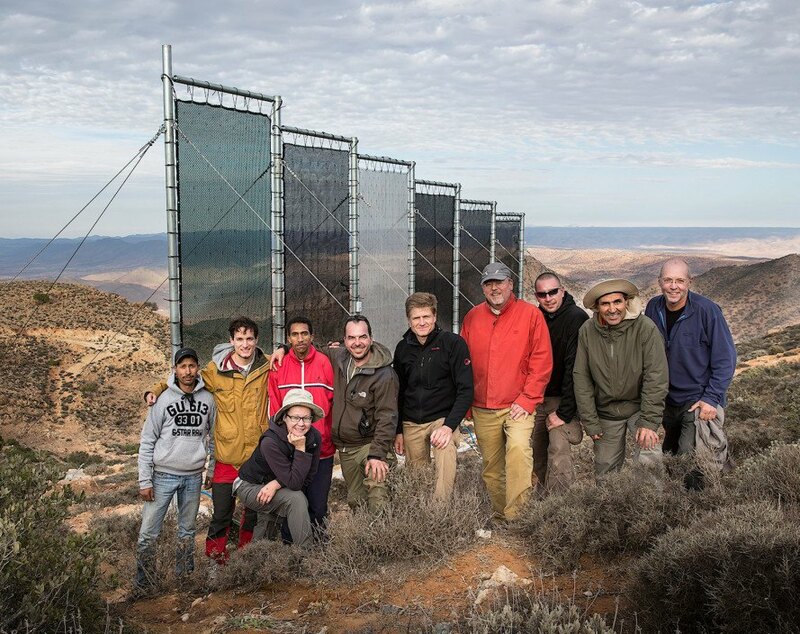 The massive installation measures 600 square meters (nearly 2,000 feet), and it puts fog harvesting into action for people living in arid, landlocked southwest Morocco. Fog harvesting can be an important source of water for people battling drought and desertification due to climate change. Fog harvesting can generate water for hundreds of families; Dar Si Hamad's installation generates 17 gallons per square yard of net.